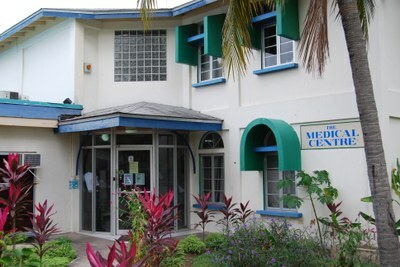 Medical Centre — UTech, Ja. Service is available on weekdays between the hours of 8:00 a.m. – 3:30 p.m. Results of routine laboratory tests are usually available within 24 hours. Persons with life-threatening emergencies who visit the Health Centre receive supportive care and are then transferred via ambulance to the Accident & Emergency Department of the University Hospital of the West Indies. All users of the Medical Centre are required to make an appointment using the Online Health Centre System (OHCS) for non-emergency care. You can now reduce your wait time and schedule your appointments from home. Visit: https://www.utech.edu.jm/ohcs and log in to schedule an appointment. Your health insurance and student identification cards are necessary for each visit. All registered students are provided with a health insurance card which can be used at any health care provider. Please note that some providers only accept cash/debit/credit cards as payment. If this occurs, ask for a signed receipt in order to make a claim against the health insurance provider. There is a cost for services not covered by the health insurance plan however no cash is collected at the Medical Centre. All students enrolled in health and allied health courses of study who are required to participate in clinical rotations within areas of the Ministry of Health must be fully immunized. Access to clinical sites will only be granted if immunization is current and covers the period of rotation. Click here to visit ‘Medical Centre Advisory - Immunization Requirements for Health and Allied Health Students’ for immunization details.